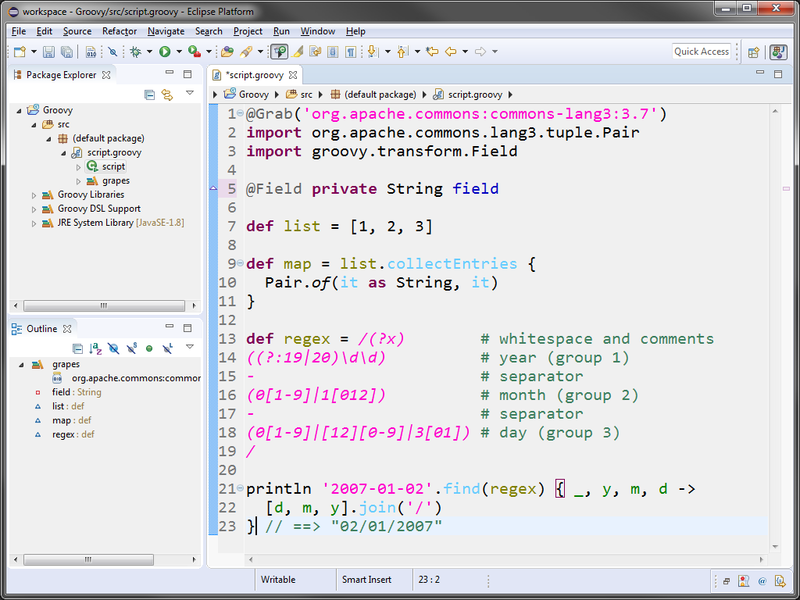 The Groovy Development Tools (GDT) provides Eclipse and Maven (m2e) support for the Apache Groovy programming language. 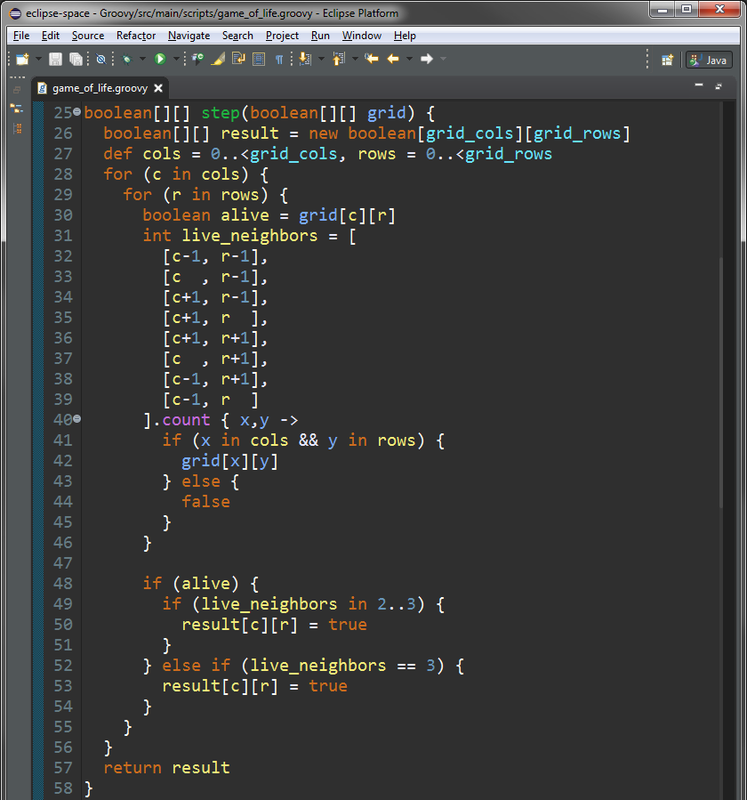 GDT adds full-featured IDE support including editors, wizards, content assist, debugging, refactoring and searching. The GDT requires the Eclipse Java Development Tools (JDT) as it builds upon Java/JVM support, including Java interoperability (bi-directional dependencies via joint compilation). 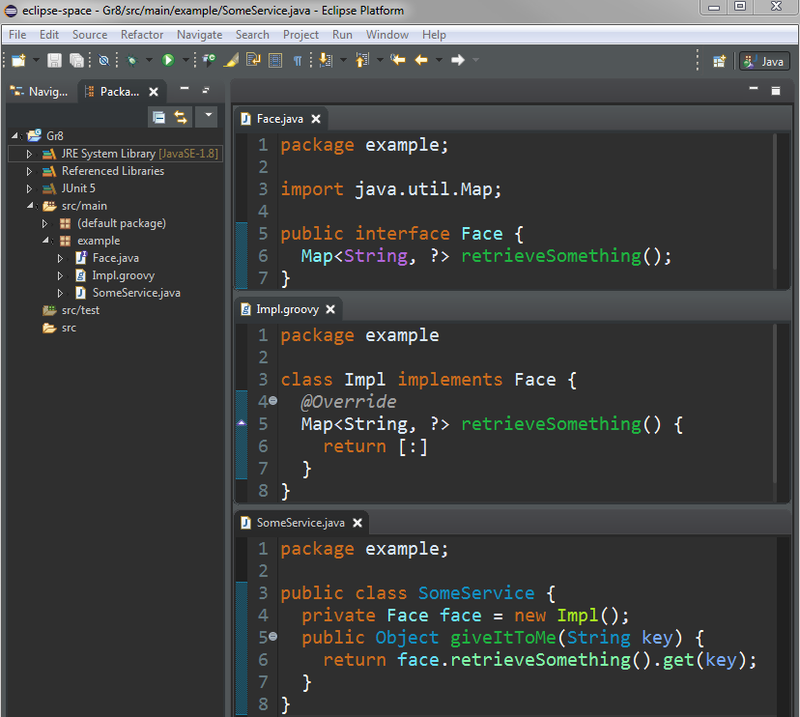 If your Eclipse flavor does not include JDT, you must install it first. GDT does not provide any direct support for Grails. If you want Grails tooling, then please consider Groovy-Grails Tools Suite or spring-projects/grails-ide for your Grails projects. 29 Cannot continue the operation. There is another install operation in progress. By adding the following code below to your website you will be able to add an install button for Groovy Development Tools. Conflict with Eclipse 4.5 Mars is still present. I managed to get it working by installing directly form update site http : //dist.springsource.org/snapshot/GRECLIPSE/e4.5/ instead of marketplace. I appear to have installed this in Mars... do you know how I actually get it to do an autoformat (of a .gradle file)? Have you any Plans to update this Plugin to Eclipse Mars? I'd like to echo that support for Eclipse 4.5 would be very appreciated.